…the top spot in the port for a night out with friends. There are many good reasons to visit the village of Portocolom. Located on the pretty east coast of the island, this traditional fishing port is nestled in a large sheltered bay, with its collection of boathouses, pastel-painted cottages and pine-shaded streets all adding to its picturesque, laid-back charm. But, with a prime position overlooking the water, the HPC is reason enough to make the trip. To begin with, its restaurant offers high-quality Mediterranean cuisine, combined with international and exotic touches, which can be appreciated throughout the year in an atmosphere that is relaxed and welcoming. Spread over two levels, the HPC restaurant is on the ground floor, with an elegant indoor dining room and large terrace. 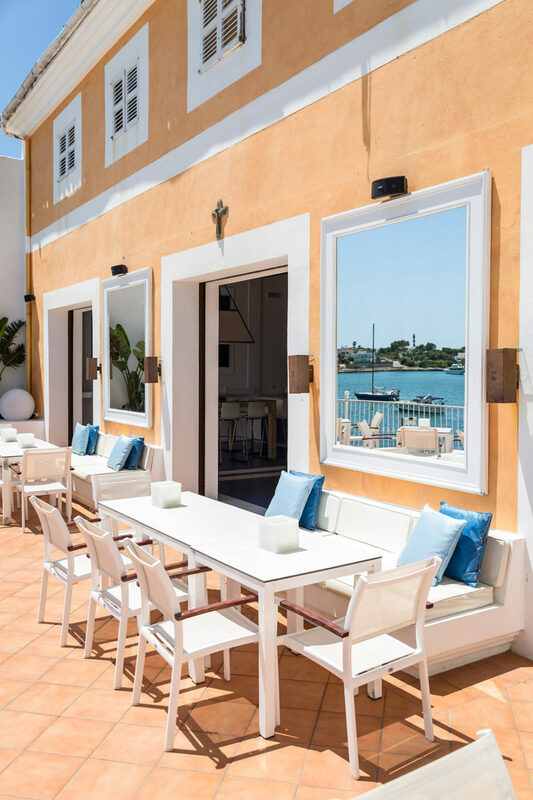 It’s the perfect spot for enjoying al fresco dining, with specialities including paella, signature salads, carpaccio, tartare, fresh seafood, island-reared meat, gourmet burgers and homemade pizzas created with the finest ingredients. 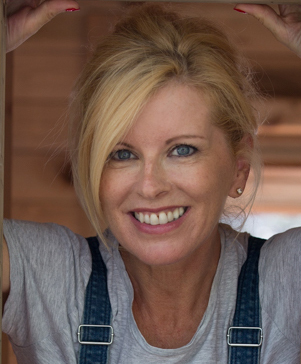 An emphasis on fresh, seasonal produce makes the cuisine really shine. On the top floor is the Blue Cocktail Bar, where you can sip on genuinely innovative cocktails while enjoying wonderful sea views and light sea breeze from the open terrace. It’s an ideal space for events – private celebrations, concerts, seminars and conferences, parties – offers a chill-out area, and also hosts regular live music performances.If the evening stretches on and you don’t want to leave, you can end the night bedding down in one of the 14 rooms of HPC Hostal. While offering all the comforts you’d expect from a three-star hotel, prices are surprisingly reasonable. 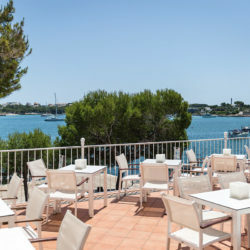 If you need to recover from your late night, a magnificent complimentary buffet breakfast awaits, overlooking the water where the light sea breeze will soon put you back on track.One more good reason to return to Portocolom and HPC.